Serving: Louisville Kentucky KY and the surrounding area. Its time to believe in this real Kentucky Santa Claus. 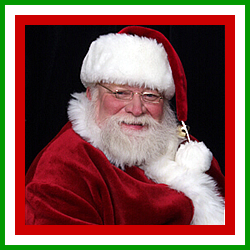 Don’t hesitate to book your Santa visit early – Santa Claus is very busy each year bringing cheer to audiences of all ages and for nearly any event requiring Olde Saint Nick. Check out the website for more pictures of this very busy Santa in action – Call soon to book your Louisville Santa appearance and beyond!